Although this former quarry (perhaps 'mine' would be a better word) is signed from the road, when I got there I was rather underwhelmed. Perhaps others took the same view, as I haven't found any photos of it on the site yet. 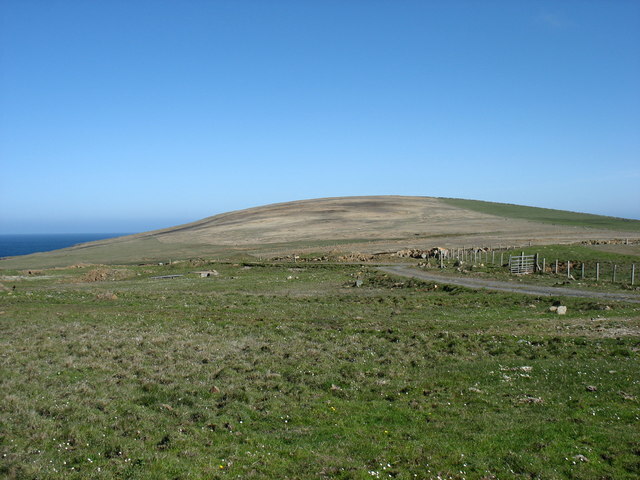 I understand that the "Horse Mill" related to a horse-drawn light railway taking the minerals to the pier at Baltasound. Beyond is the low hill of Keen of Hamar, in HP6409.